The story of how Zach Parise came to be a member of the Minnesota Wild is one of those special sports narratives that makes you feel all warm and fuzzy inside. But just when we thought it couldn’t get any better, it does just that. But first, some background. This epic tale began long before the Minnesota Wild had even become a franchise, and the North Stars were still in town. On December 23rd 1967, North Star fans got one of the best early Christmas presents in history when J.P. Parise (Zach’s father) was acquired via trade from the Toronto Maple Leafs (Yes, Leafs). Although unknown at the time, this was the beginning of a great Minnesota hockey tradition that has lasted to this day. Despite being Canadian born, J.P. finally settled down in Minnesota after being moved around throughout the NHL. He blossomed with the North stars, becoming one of their elite forwards and eventually being named to the NHL All-Star team twice (1970 and 1973) in his 6-year campaign with the North Stars. He did, however leave the team in 1975 on a trade to the New York Islanders. He only stayed away three years though, as he came back to play the final year of his career as the North Stars’ captain in 1978. After retirement he spent a few years coaching on multiple levels of the organization, and to this day is revered among Minnesotan hockey fans. It was in this time that J.P. had a son, who as we all know, was his best contribution to modern day Minnesotan hockey. 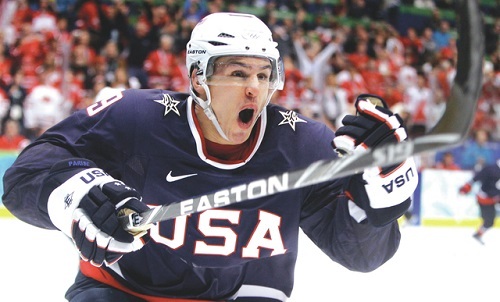 Zach Parise was born on July 28th 1984 in Minneapolis, and was immediately immersed in hockey culture. As the son of a former NHL player and (at the time) current coach it was inevitable that hockey would be an incredibly important part of his life. After spending most of his early life on or around a hockey rink, Zach eventually ended up in the NHL. He was drafted by the New Jersey devils in 2003, eventually signing with the team in 2005. As one of the most sought after prospects his career took off in the NHL, starting the scoring off right away in his first NHL game. As his career continued he kept adding to his point totals, in fact almost doubling his offensive output between his first and second season. The story really takes off, though, when we get to the summer of 2012. It was one of the most anticipated free agency periods as Zach had established himself as one of the most elite forwards in the NHL, and was going to be an unrestricted free agent for the first time in his career. It was especially anticipated in Minnesota due to the desire for a hometown hero. When parise finally put pen to paper on July 4th to sign with the Wild it was as if all the planets had aligned. Not only had the highest profile free agent signed in Minnesota, but Ryan Suter, the best defenseman available did as well. It was a moment of sheer jubilation throughout the state of hockey, never before had such super stars come to the Wild. Captain Zach Parise and Alternate Ryan Suter. Since that day, the Zach Parise story has elevated to a completely new level. Over his two short seasons here he has emerged as one of the greatest leaders the team has ever seen, leading the team in seemingly every category (other than ice time of course, that category is dominated by Ryan Suter). 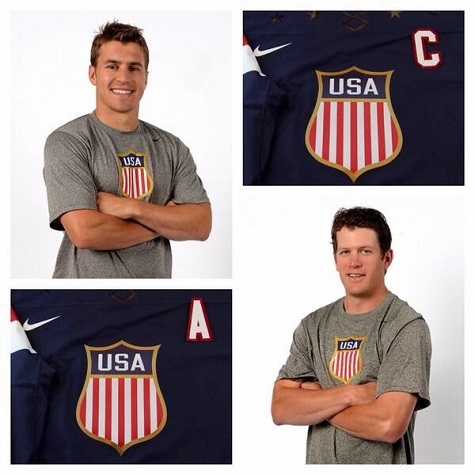 Last week in the culmination of this great Minnesotan story, after already being one of the faces of U.S. Hockey, Parise was named the captain of the United States Olympic team, while Suter was named the alternate. So, as it stands now, the Captain and Alternate Captain of the United States Olympic Men’s hockey team are members of the Minnesota Wild, and call the State of Hockey home. It’s a great era for Minnesota Hockey, and the future only looks bright. Minnesota will be very well represented in Russia this month, but look to Zach Parise to lead his team to glory, like any good Minnesotan should.